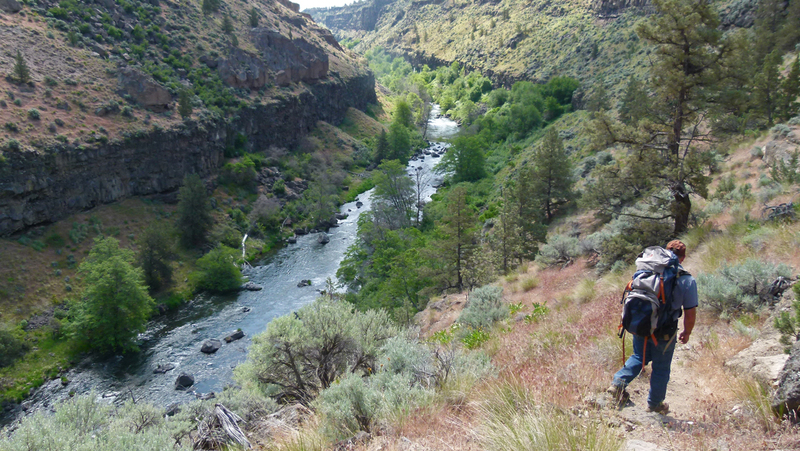 As iconic Oregon fisheries go the Crooked River is an amazing resource. One of the great bread-and-butter trout streams of central Oregon, it not only fishes well, but is amazingly beautiful as well. 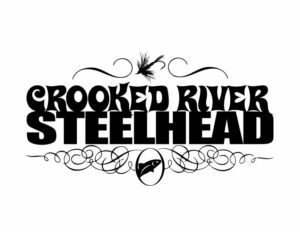 The Crooked is a working river, providing water for communities and farms as well as recreation for anglers and boaters. 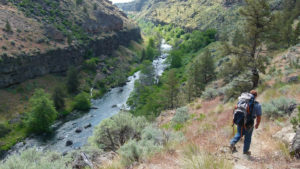 As a major tributary to the Deschutes, the Crooked has always been a focus for Trout Unlimited and our local Deschutes Chapter. For years our efforts to work with water users, conservation groups and municipalities to conserve habitat values and enhance angling opportunities have been successful. 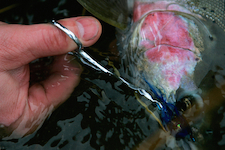 Now steelhead are swimming in the Crooked River after being absent for 50 years. But to realize the goal of restoring a self-sustaining steelhead fishery open to recreational angling in the upper Deschutes/Crooked River basin, a critical fish passage barrier—Opal Springs Diversion Dam— must be resolved. 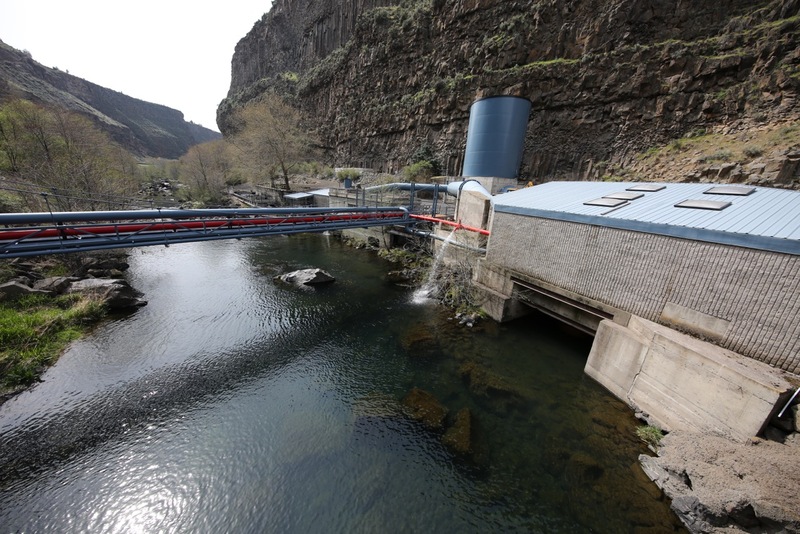 The Opal Springs Fish Passage Project is a collaborative effort to secure upstream fish passage at Opal Springs Diversion Dam, a 27’ high passage barrier located on the Crooked River just upstream from Lake Billy Chinook. The dam, owned and operated by Deschutes Valley Water District (DVWD), largely blocks Deschutes River steelhead and Chinook salmon from reaching important historic spawning habitat. 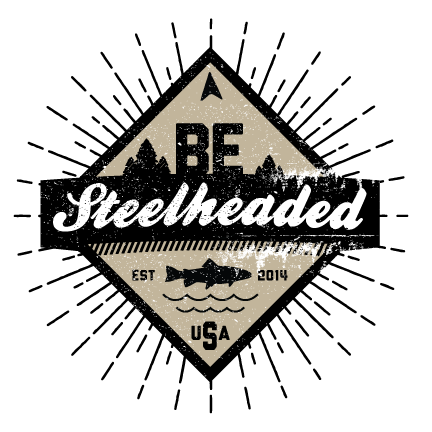 If implemented, the project could restore access to more than 100 upstream miles of habitat for steelhead and salmon. The Crooked River Watershed Council and partners have already addressed fish passage at 13 fish passage barriers in the Lower Crooked. 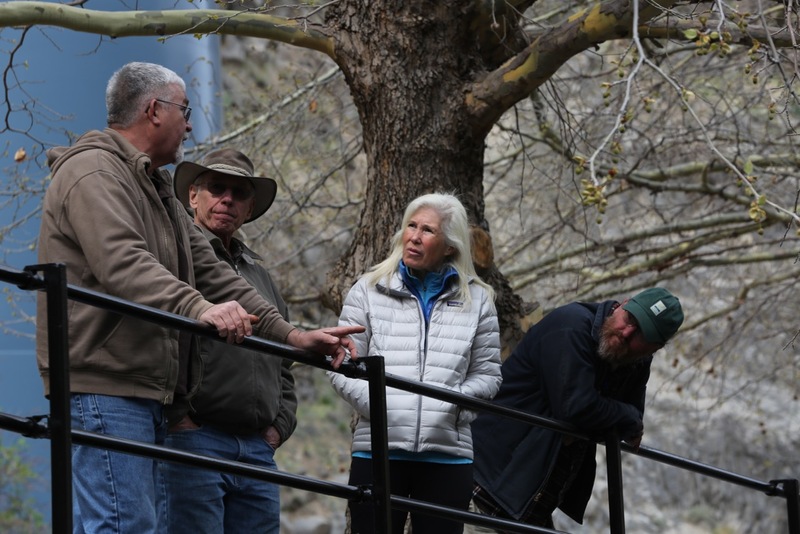 Trout Unlimited has been a major participant in the effort to restore steelhead to the upper Deschutes and Crooked River since 2008, when negotiations with DVWD and other stakeholders began to address fish passage issues. The negotiations resulted in a settlement agreement whereby DVWD agreed to voluntarily modify its facilities to improve upstream and downstream fish passage. The project is particularly timely as reintroduction efforts in the upper Deschutes River basin are currently under way as a result of the Federal Energy Regulatory Commission (FERC) license requirements for the Pelton Round Butte Project (PRB). 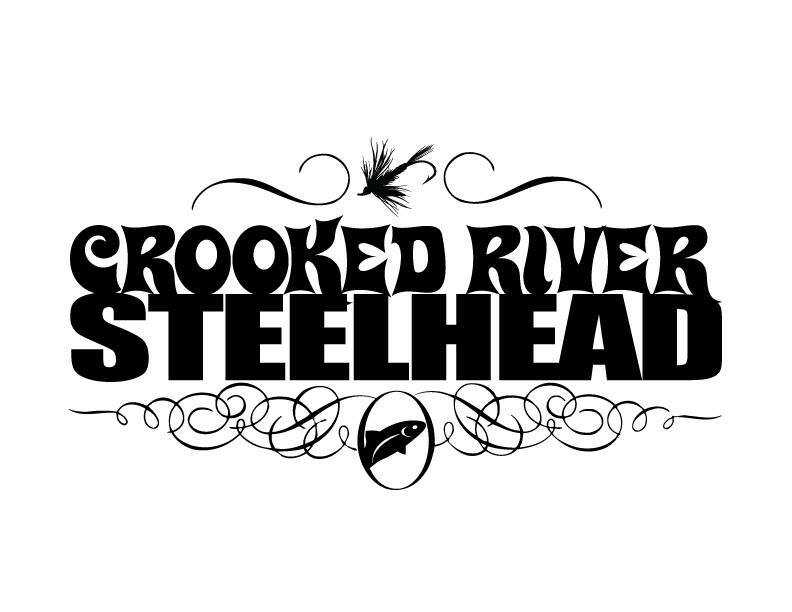 Data from the PRB project reveal that the majority of returning steelhead significantly prefer the Crooked River to other major tributaries upstream of the PRB Project. This evidence strongly underscores the importance of securing volitional passage at Opal Springs for successful reintroduction of anadromous fish into the upper Deschutes basin. Funding commitments sufficient to cover the Opal Springs project’s estimated $8 million price tag still must be secured. With commitments for around three quarters of the total cost, TU and Project partners are making progress but public support of the project is key. You can help by making a small (or large!) donation today to this worthy project.